As we coast to the end of the Honor Flight Flying Season, I’ve already made reservations for the Summit. 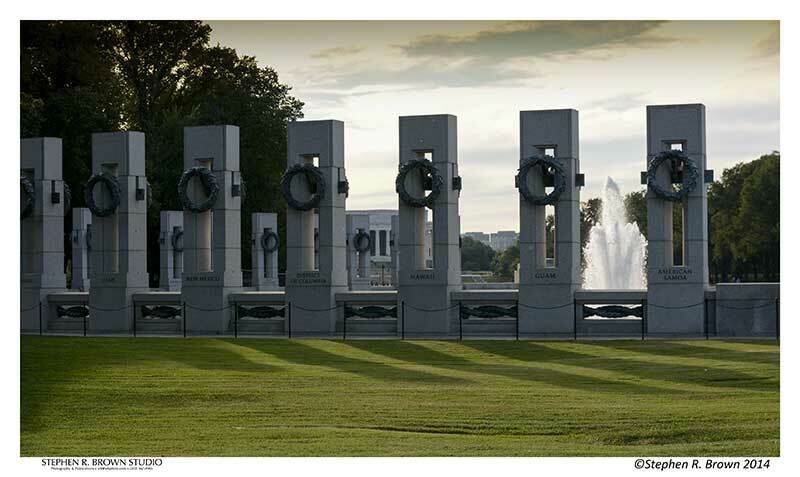 I photographed over one hundred Honor Flight hubs at the Memorial this year and with good results. Fortunately, the Memorial and the Mall also serve as a test bed for a variety of manufacturer equipment tests and updates and revisions to the books. 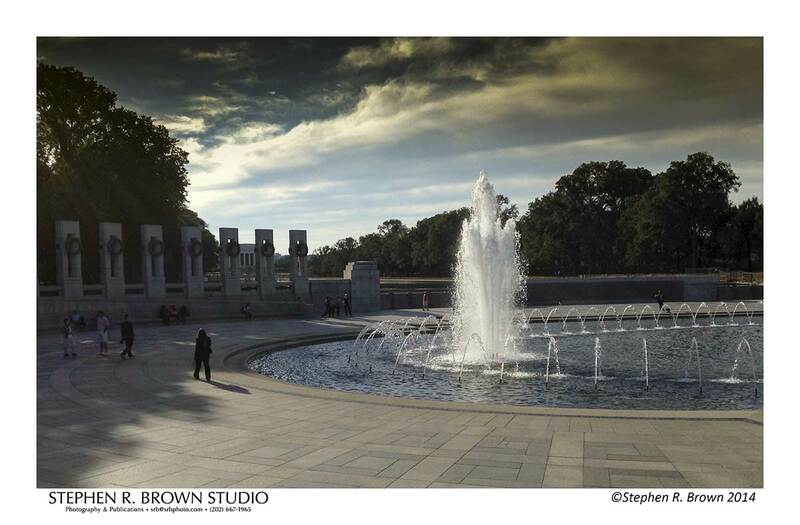 The selects below are destined for the next editions of the DC PHOTO BOOK and the WWII MEMORIAL book. The Memorial is gaining character by the day and the ingenuity of greeters and well-wishers is astonishing. 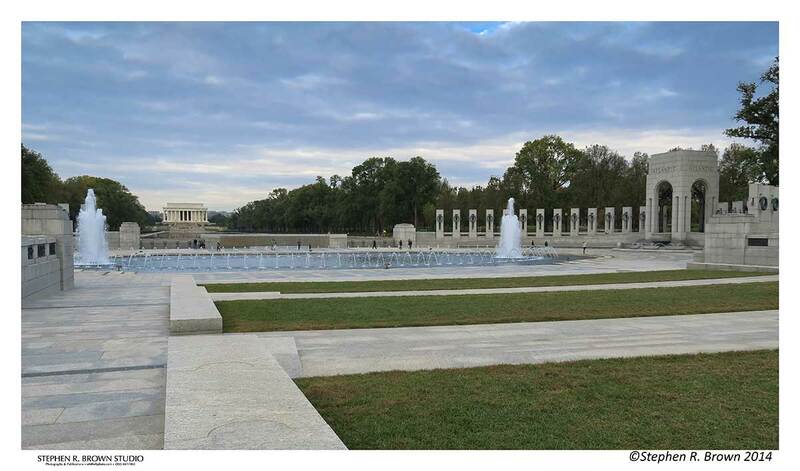 Visitor numbers to the WWII Memorial are the highest for any Memorial and it has become a draw for not only those of us who had family in the war but also for foreign visitors, re-enactors, and evening concerts. 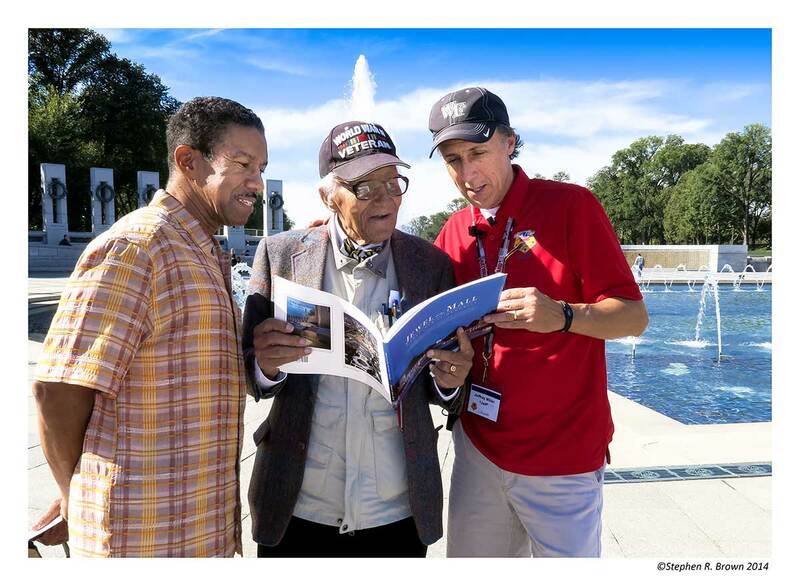 Jeff Miller, co-founder of Honor Flight looking over the book with a veteran who visits frequently with his son and meets the Honor Flights. Capital Region Honor Flight was just created to fill that need and we will be displaying together at the Summit. Honor Flight Chicago’s ceremony and photo opportunities are so well organized that I have time to play with the image. Click on the pan to see a folder full of images from that day. Dave Smith and crew of San Diego Honor Flight are always well-prepared and we get this enormous photograph done in fifteen minutes. 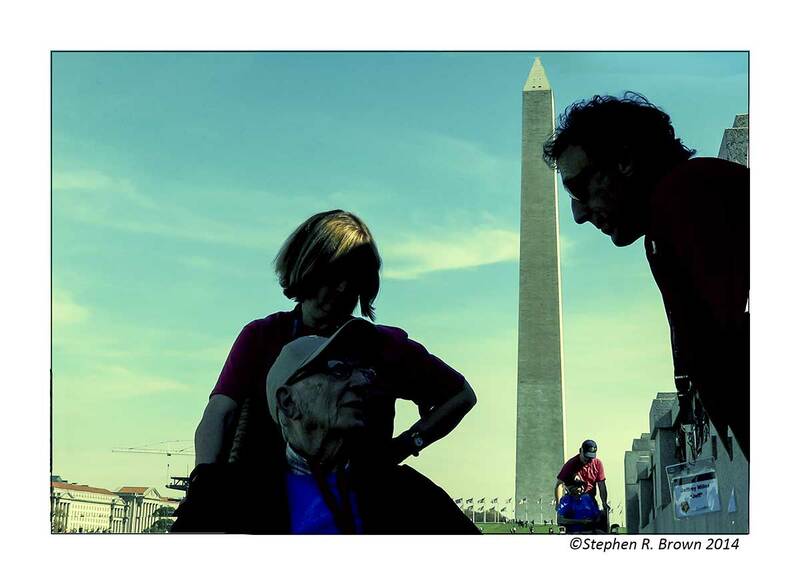 As you are choosing a place to photograph your group, I recommend “center stage” as Washington’s significant symbols are visible and in my thinking, vital to fund-raising. You also have room to spread out. and work quickly. Prepare your guardians to get their veterans into place quickly and efficiently. Gjon Mili, a famous Life Magazine photographer once said that a good image is “Ninety percent preparation and ten percent serendipity” to which another famous Life Magazine photographer Arnold Newman replied No you are wrong… It’s ninety percent furniture moving and ten percent serendipity.” In any event, ******I want to refer you all again to my essay entitled “HERDING CATS : Photographing Veterans at the WWII Memorial” where I try to pinpoint some of better positions for photography. These images showcase Washington’s extraordinary light. On the Mall, the sun has a chance to cast that golden glow right down the Mall right until it drops behind Arlington Memorial Cemetery. An evening walk is always a pleasure and an opportunity. 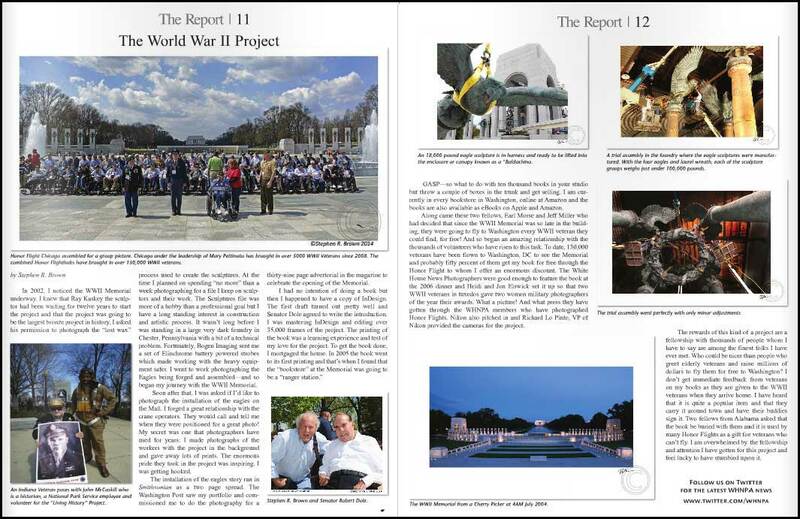 The White House News Photographers wrote up the WWII Memorial project recently. It’s nice to be noticed by such a prestigious group of photographers, videographers and editors. I have been a member since 1982. We have all worked the White House and currently some of us still do. The rest are spread around the world and all involved in pretty interesting projects. Thanks to the web, we are able to share resources and ideas. In late January, there is a contest and the incredible results are available on our website. 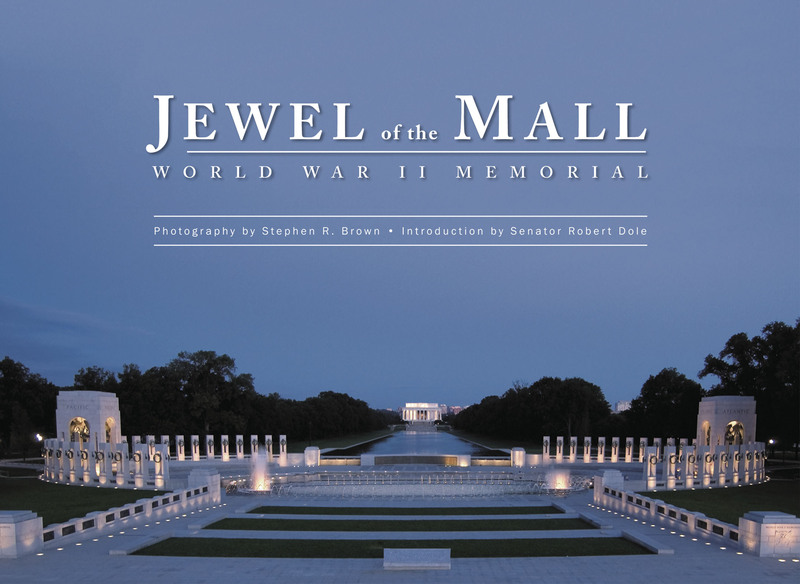 Printings of both the DC PHOTO BOOK and WWII Memorial: Jewel of the Mall books have just arrived at the warehouse. Make your plans now for holiday gifts. If you are on the Mall, you can find the books at the FDR, Guest Services at the Korean Memorial and at the Jefferson. They can be autographed through the studio and had unsigned through Amazon. Please continue to get in touch with the studio for case supplies. Shipping is free with the 2014 prices and will continue on through next year. 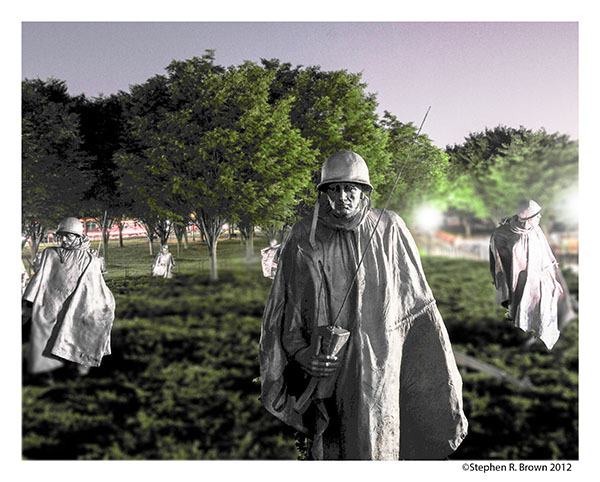 The Korean War Veterans Memorial poster, which we are donating to Honor Flights transitioning to Korea with the DC PHOTO BOOK, has been reordered due to its popularity. The poster above is given only to Honor Flight hubs and is not sold with the book at stores or other outlets. We took down the show at the Women in Military Service For America Memorial last week. Thank you all for making it such a success. The Women in Military Service For America Memorial continue to welcome veterans groups for a lunch stop and will prepare the Memorial for your groups’ comfort. It is one of the beautiful and restful places on the Mall and the terrace view is stunning. Let me know what you think! As always, join the conversation on Facebook and Twitter. If you are on Facebook, please like the Studio site and make sure you register for email updates at the studio. 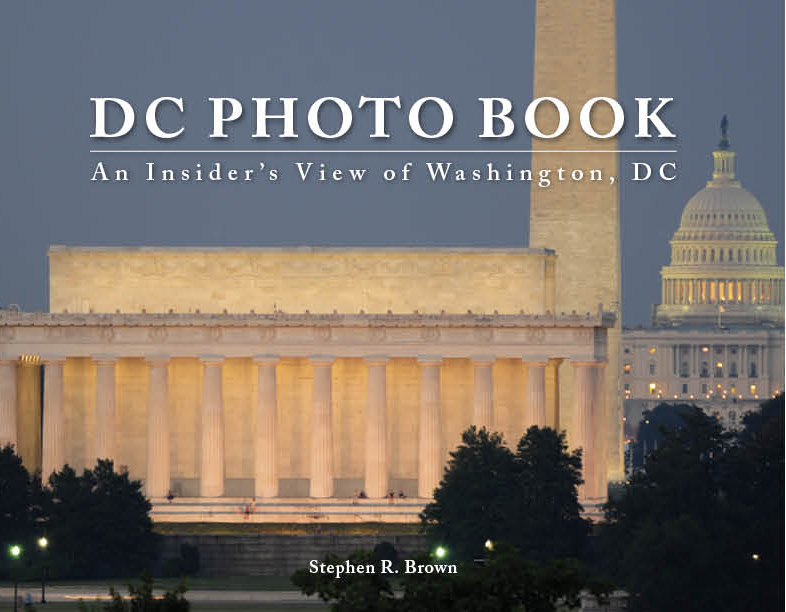 November 5, 2014 | Filed under About the Book, Blogs, Books, DC Photo Book, Honor Flight, Photography and tagged with DC PHOTO BOOK, Honor Flight, Jewel of the Mall, National Park, National Park Service, photography, Senator Dole, Washington, World War II Memorial.